Colour in the princess palace, decorate the royal pets, finish off the ballroom scene and much more! 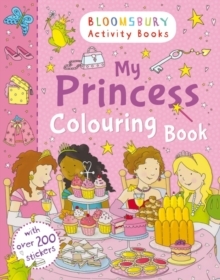 Have plenty of princess fun with this beautiful colouring book, packed full of stickers. Bloomsbury Activity Books provide hours of colouring, doodling, stickering and activity fun for boys and girls alike.